Perfect for chilly evening workouts, our stretch half zip, wicking pullover with a soft-brushed backing and moisture control for year-round comfort. 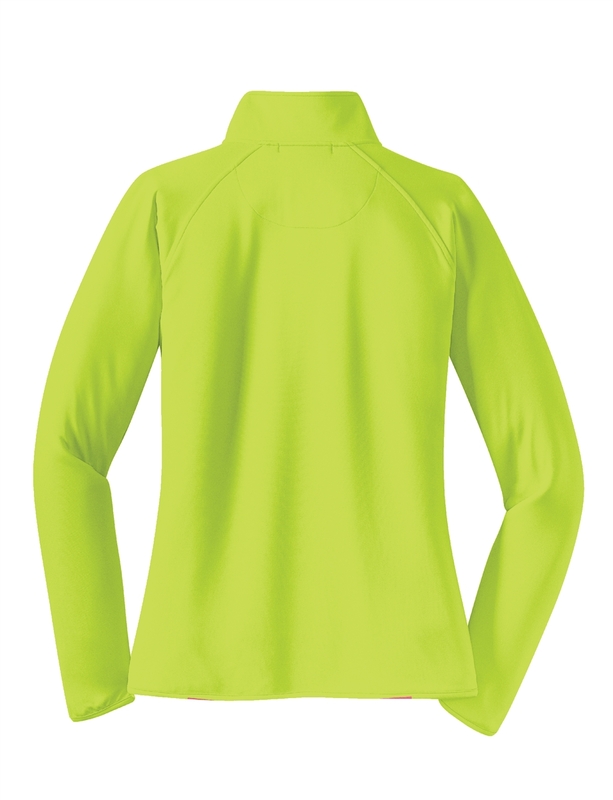 Ladies style features a contoured fit, thumbholes and a hidden front pouch pocket. 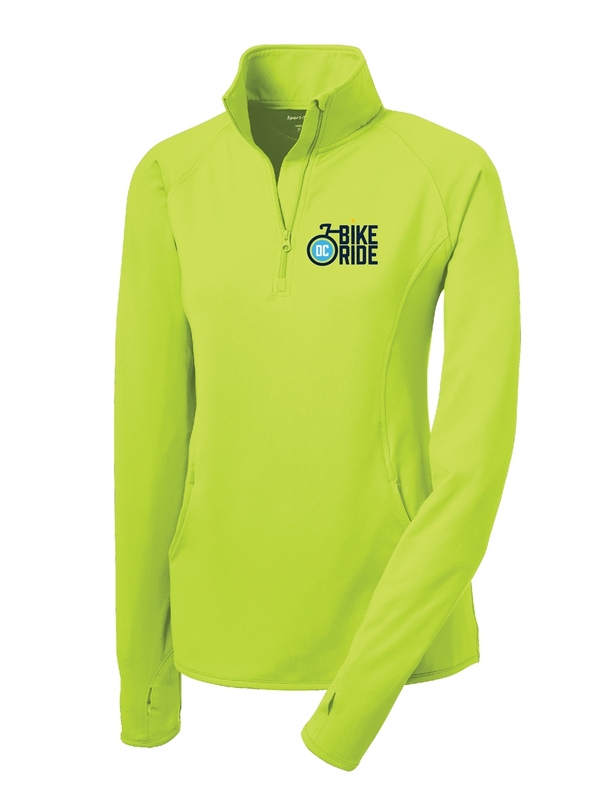 Features the DC Bike Ride logo on the right chest.